The mayor of Canada’s most populous city says he wants Toronto to start the process of bidding to co-host the 2026 FIFA World Cup. John Tory released a statement early Monday supporting a staff report that recommends the city enter as a host into a joint bid for the games by Canada, the U.S. and Mexico. 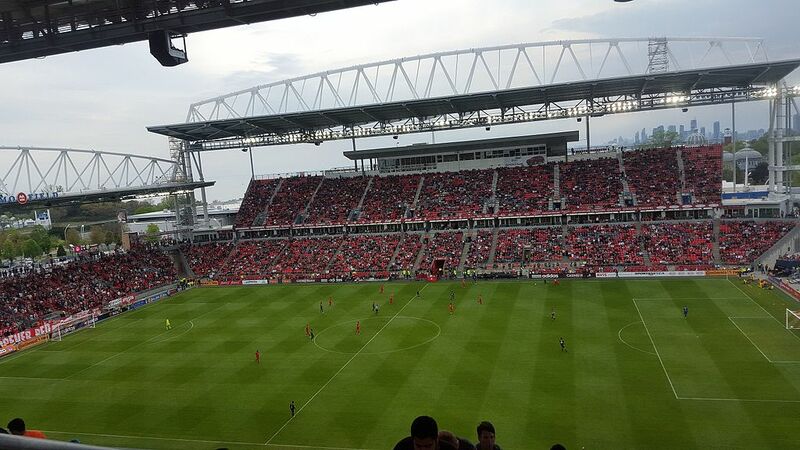 Toronto’s BMO field could host World Cup matches in 2026. Photo by Abazz via Wikimedia Commons. Canada joined the shared proposal — branded “United 2026” — in December, with news that if the countries are chosen, Canada and Mexico would get 10 games apiece and the U.S. would host the other 60. He says city staff estimate that it would cost between $30 million and $45 million to co-host the games, and that the costs are expected to be shared between the city, the province and the federal government. Soccer Canada had already listed Toronto as a potential candidate to host games should FIFA select United 2026 as the winning bid. The proposal will be submitted to FIFA on March 16 and the bid winner will be announced at the FIFA Congress in Moscow on June 13.